It is sometimes necessary to change out the sink aerator in the kitchen or bathroom to ensure a steady water flow and avoid unwanted leaking or splashing. It can also save water use. For DIY enthusiasts, this is a great place to get your hands wet with plumbing know-how. Aerators are inexpensive and come in varying designs that control the flow. eHow estimates aerators can save up to 280 gallons a month. The task is not as difficult as it may seem. I’ve performed this task successfully andbeen satisfied with the outcome. And I’m no plumber by any stretch of the imagination. This short video from Ramona’s Plumber provides some useful reference information for those of you who are too timid around plumbing projects. CACHÉ hidden aerators by NEOPERL offer ease and flexibility to the design: The aerator is screwed directly into the faucet eliminating the need for a housing – thus it is made invisible. 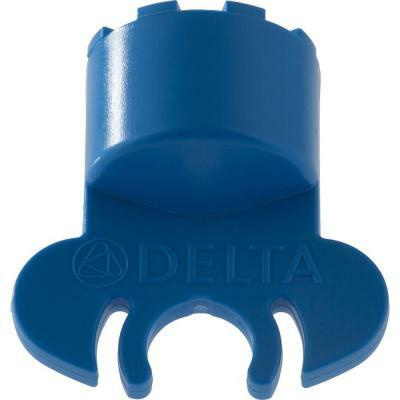 For those in need, Delta offers a low-priced cache aerator wrench for sale for those who feel they might need it. Use this Cache Aerator Wrench to remove certain kitchen and bathroom sink faucet aerators. This specialty tool allows the weekend DIYer to remove and replace aerators clogged with hard water deposits. One of the best ways to reduce water use in the bathroom is to install faucet aerators that have earned the WaterSense label, ensuring water efficiency and performance. WaterSense labeled bathroom sink faucets and accessories using a maximum of 1.5 gallons per minute can reduce a sink’s water flow by 30% or more from the standard flow of 2.2 gallons per minute without sacrificing performance. According to the EPA, replacing old, inefficient faucets and aerators with WaterSense labeled models can save the average family 700 gallons of water per year, equal to the amount of water needed to take 40 showers. Also, since these water savings reduce demands on water heaters, households will also save enough energy to run a hairdryer 10 minutes a day for a year. Achieving these savings can be as easy as twisting on a WaterSense labeled aerator, which can cost as little as a few dollars.